Earlier this month, Qatar Foundation offloaded its entire 5 percent stake in Bharti Airtel via an open market sale. Telecom major Bharti Airtel today said its non-executive director Rashed Fahad Al-Noaimi has resigned from the companys board of directors. The move follows sale of 5 percent stake by Qatar Foundation in Airtel for Rs 9,600 crore earlier this month. "...we wish to inform that Rashed Fahad Al-Noaimi, non- executive non-independent director has resigned from the Board of Directors of the company with effect from 22 November, 2017," Bharti Airtel said in a BSE filing. Al-Noaimi is the Chief Executive Officer of Investments at Qatar Foundation for Education, Science and Community Development. He is responsible for Qatar Foundations investment portfolios and long-term investment policies that include Qatar Foundation Endowment, Qatar Foundation Investments as well as the organisations other joint ventures and initiatives, according to information available on Bharti Airtels website. Qatar Foundation had said the proceeds of the stake sale would be re-invested across its global portfolio. 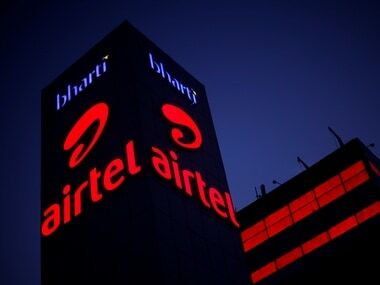 Shares of Bharti Airtel closed 0.53 percent lower at Rs 496.05 apiece on the BSE today.